Cane and Rinse 361 was edited by Jay Taylor. Gotta say -- I side with Jacob 100% in the DS3 debate. I like all of the references to past Dark Souls stuff in this game precisely because it doesn't make sense. To me, Dark Souls is less of a world being built than a story being told. Like myth, details warp and shift in the telling. Dark Souls 3's blending of worlds read more, to me, like the structure of language and narrative breaking down and folding in on itself. I don't care how lands "migrated" into one spot as much as I'm interested in the "idea" of Anor Londo and the myths surrounding it twisting and distorting in this world of myth. It's like a story being told by a rapidly declining storyteller, the weight of myth buckling under its own weight. 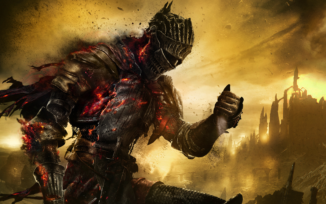 I notice y'all didn't mention the canonical Souls game that came out between Bloodborne and Dark Souls 3, though -- the immediate prequel published by Bandai Namco, Slashy Souls.